Winnie-the-Pooh, the character invented by A. A. Milne, is a continuing worldwide phenomenon that continues to this day. 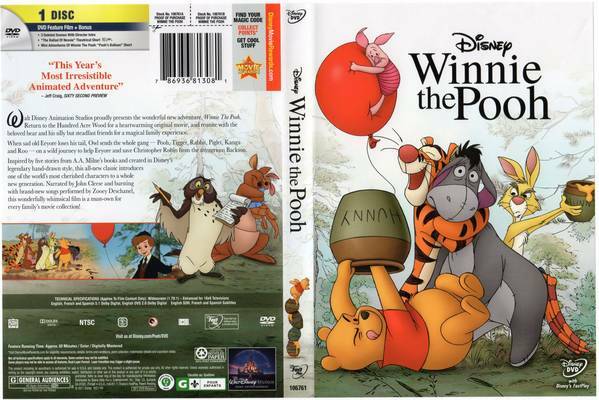 The success of "Winnie the Pooh" (2011), directed by Stephen J. Anderson and Don Hall, helped Walt Disney Animation Studios regain its footing after the near-disastrous 2000's, when its only true success was "Lilo & Stich." While not a smash hit at the box office, "Winnie the Pooh" helped restore peoples' faith in the Disney magic and was virtually assured of selling a ton of home videos for parents eager to entertain their toddlers. Picking up the characters from 1977's "The Many Adventures of Winnie the Pooh," "Winnie the Pooh" continued the return to hand-drawn animation begun with "The Princess and the Frog" to good effect, winning over critics with its traditional feel which, no doubt, probably reminded many of them of their own childhoods. Pooh is out of honey, so he goes out to search for some. Eeyore, though, has lost his tail and needs to find a replacement. 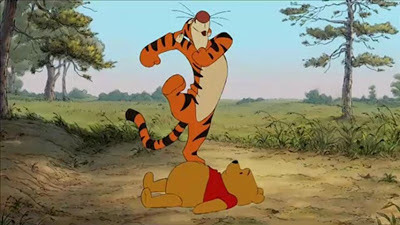 Together with Tigger, Rabbit, Owl, Kanga and Roo, Pooh decides to do something to help. 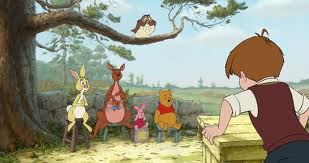 Christopher Robin holds a contest to see who can replace the tail, the prize being a pot of fresh honey. They try various solutions, such as scarves and cuckoo clocks, but nothing is satisfactory to Eeyore. 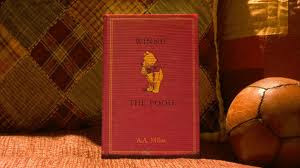 When Pooh goes to visit Christopher Robin the next day, he finds a note saying that Robin is out and will be back later. 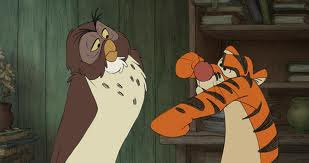 Pooh can't read, so he asks Owl to help, but Owl can't read very well either. 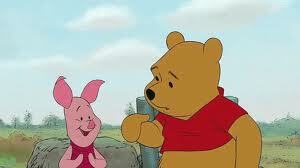 He tells Pooh that the note says that Robin has been kidnapped by the evil monster known as the "Backson." Eager to rescue Robin, Rabbit devises a plan to lure the Backson to a pit, into which they hope he will fall so they can trap him there. Tigger tries to teach Eeyore how to fight, and so dresses up like the Backson, but this scares Eeyore and he runs off and hides in the river. Still looking for honey, Pooh stumbles into the pit meant to trap the Backson. He can't get out, so Kanga, Roo, Rabbit and Eeyore try to help him out. They, however, manage to fall into the pit themselves, with the anchor that Eeyore found underwater to replace his tail not helping matters. Piglet then tries to get everyone out, but he sees Tigger dressed as the Backson and flies in terror in a red balloon. The balloon knocks some of the storybook's letters into the pit. Tigger and Piglet then also wind up in the pit. 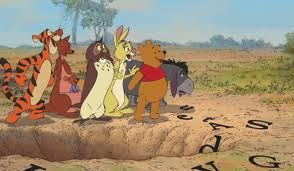 Pooh finally comes up with a way to use the fallen storybook letters as a ladder for them all to climb out of the pit. 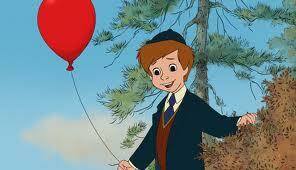 Once they get out, they see Christopher Robin, who clarifies that he meant "back soon" and not "backson." Pooh finds out that Owl accidentally took Eeyore's tail, using it as part of his front door. Realizing that Eeyore needs the tail, Pooh leaves before eating any honey and returns the tail to Eeyore. 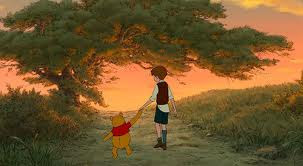 Christopher Robin rewards Pooh by giving him a pot of fresh honey. After the film ends and the credits have run, it is revealed that the Backson does, indeed, exist. Rather than fearsome and malevolent, he is very nice and collects the lures left to trap him in the pit, intending to return them to their rightful owner, but falls into the pit himself. He waits patiently for a rescue, hoping that whoever lost the things will be "back soon." There still were Disney veterans from the Pooh shorts of the 1960s and 1970s, such as Bunny Mattinson, and they drew up the characters with an eye toward following in the footsteps of earlier Disney interpretations. The directors, Hall and Anderson, were old pros who had worked on numerous Disney animated feature films of the 2000s. Just as in "The Princess and the Frog," "Winnie the Pooh" uses the Toon Boom Animation Harmony software that enhances hand-drawn animation without replacing it. It probably isn't necessary to say that "Winnie the Pooh" is very kid-friendly, the younger the better. It features three stories by Milne, and is a very faithful adaptation. Short films with similar themes, "The Ballad of Nessie" and "Cubby's Goldfish," were shown with "Winnie the Pooh," making it an enjoyable experience for little children. For what it is, "Winnie the Pooh" delivers just what parents no doubt expect from a Disney Winnie the Pooh film, with a gentle plot and backgrounds painted in soothing watercolor tones assured of calming down even the most rambunctious of toddlers. The soundtrack songs by Robert and Kristen Lopez, score by Henry Jackman, is well-designed for children to enjoy and succeeds in that regard. The song "So Long" being nominated for a Grammy, and Zooey Deschanel sings the traditional "Winnie the Pooh" theme song. The voice actors are all just what you would expect. 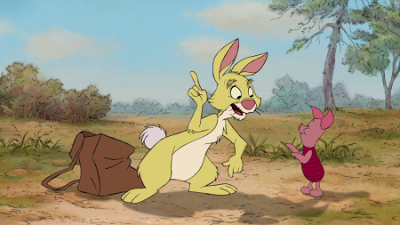 Travis Oates does Piglet, Tom Kenny is Rabbit, Craig Ferguson gives Owl a Scottish flair, Bud Luckey is Eeyore, and Jack Boutler provides the voice of Christopher Robin. 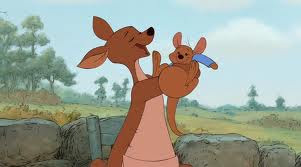 John Cleese narrates in fine fashion, and Kristen Anderson-Lopez, who helped her husband with the soundtrack, provides the rare female voice as Kanga. Some things in life are timeless. It's difficult to think of Winnie the Pooh ever going out of fashion for children in the proper age range. Taken together with "The Many Adventures of Winnie the Pooh," "Winnie the Pooh" is a stellar choice for entertaining small children while also teaching them mild lessons about working together and not automatically assuming things about people because of their appearance. The animation of "Winnie the Pooh" is worlds better than that in earlier versions, and the film is a worthy addition to any Pooh library. Below is the trailer from "Winnie the Pooh." The 2006 Disney/Pixar merger was cataclysmic in the world of animation, and it changed a lot of lives. Some of those lives were those of the animators who had been laid off in 2003 when Disney, panicked by the implacable success of Pixar, DreamWorks and the other new Young Turks of the animation field with computer-generated imagery, laid off all its traditional animators. Besides being abrupt and unnecessary, that had been a mistake, because one of Disney's big advantages was its legacy of hand-drawn animation which always lent its films a distinctive and appealing look. Ironically, it took the influence of the new Pixar people, John Lasseter in particular, to reverse this decision and hire back the skilled animators. The first result of this backtracking was "The Princess and the Frog" (2009), directed by Ron Clements and John Musker, the team that brought Disney some of its greatest successes with "The Great Mouse Detective," "The Little Mermaid," "Aladdin" and "Hercules." If you find anybody who has directed four better animated films in a row than those, well, let us know, because we can't think of anyone. 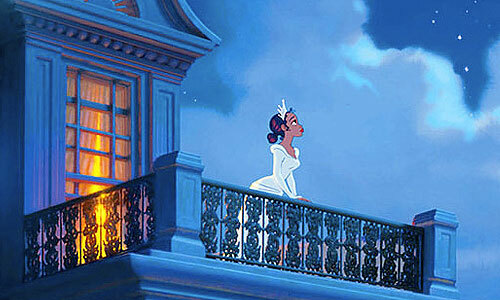 The idea for "The Princess and the Frog" came from E.D. Baker's "The Frog Princess." In addition to going back to traditional animation, Musker and Clements also revived the musical format that worked so well in the 1990s. Musker and Clements, incidentally, had retired in 2005, and Lasseter had to ask them (nicely) to come back to once again, as with their 1980s hits, reverse a long Disney losing streak. The two directors were given carte blanche, and they used it in several different ways, including ignoring critics who argued that setting a fairy tale in New Orleans was an affront to Hurricane Katrina victims. 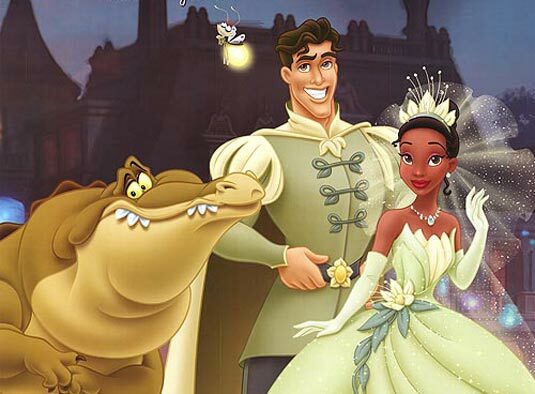 This was one of those situations where getting the right old pros at the right time worked to perfection, because "The Princess and the Frog" indeed reversed the fortunes of Walt Disney Animation Studios to the upside, turning a profit and currying much favor in the Black community. Tiana lives in New Orleans, where she is a waitress with dreams of owning her own restaurant. She works two shifts in order to raise the money to buy an old sugar mill, which she intends to use as her restaurant. Eli "Big Daddy" La Bouff runs the annual Mardi Gras masquerade ball, and his daughter, Tiana's childhood friend Charlotte La Bouff, hires Tiana to provide catering services. Big Daddy wants to use this particular occasion to set up his daughter with the visiting Prince Naveen of Maldonia. With the proceeds from this job, Tiana will be able to buy the sugar mill and fulfil her dream. Prince Naveen, though, has been disinherited and is penniless and jobless, though still accompanied by his faithful servant Lawrence. 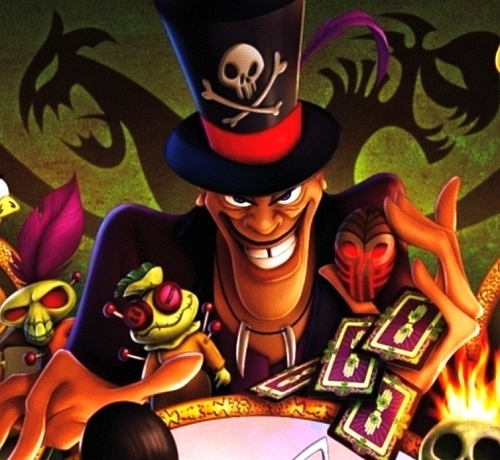 He wants to marry a wealthy woman to restore his fortunes, but he falls in with a voodoo witch doctor, Dr. Facilier. The witch doctor transforms Naveen into a frog and gives Lawrence a voodoo charm full of Naveen's blood that enables Lawrence to look like Naveen. Facilier is intent on having Lawrence marry the wealthy Charlotte so that he, because he controls Lawrence, will become wealthy. 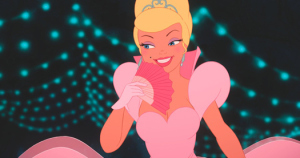 Naveen meets Tiana at the ball, and he asks her to kiss him to reverse Dr. Facilier's curse. 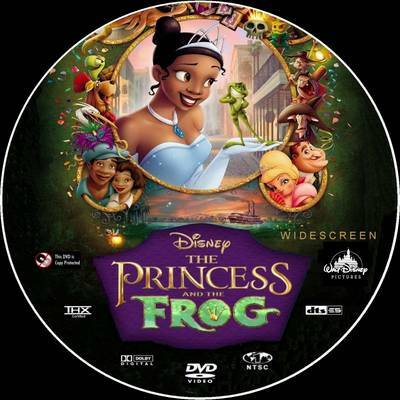 She agrees because she thinks she will need more money for her restaurant, but instead of turning Naveen back into a man, the kiss turns Tiana into a frog herself. Together, they escape to the nearby bayou. Lawrence, meanwhile, romances Charlotte, but Dr. Facilier's potion wears off and he reverts to his regular form. In order to keep the charade going, Dr. Facilier tells Lawrence, they will have to get more of Naveen's blood. In order to locate Naveen, Dr. Facilier makes a deal with the voodoo spirits in which he promises to offer up the souls of the people of New Orleans once he gains control. The voodoo spirits agree and dispatch shadow demons to locate Naveen. Tiana and Naveen meet trumpet-playing alligator Louis in the bayou, who leads them to Mama Odie, a voodoo priestess, and Ray, a friendly firefly. Ray is in love with Evangeline, the Evening Star. Mama Odie tells Naveen that he must kiss a true princess to reverse the curse, and the best choice would be Charlotte, because Big Daddy is king of Mardi Gras, meaning Charlotte is (sort of) a princess. That opportunity, though, will expire at midnight, when Mardi Gras ends, so time is an issue. Before Naveen can act upon this suggestion, though, he is captured by the shadow demons and brought before Dr. Facilier. Ray intervenes and frees Naveen, and they also steal the charm with Naveen's blood and give it to Tiana, but Ray is killed in the struggle. Desperate to get the voodoo charm back, Dr. Facilier changes Tiana back to human form and offers to fulfill her restaurant dream if she will give it to him. She refuses, but one of the shadow demons steals the charm anyway. Dr. Facilier then changes Tiana back into a frog, but she uses her frog tongue to steal the voodoo charm back, destroying it in the process. The voodoo spirits, angered at Dr. Facilier's incompetence, then abduct him for his own soul. 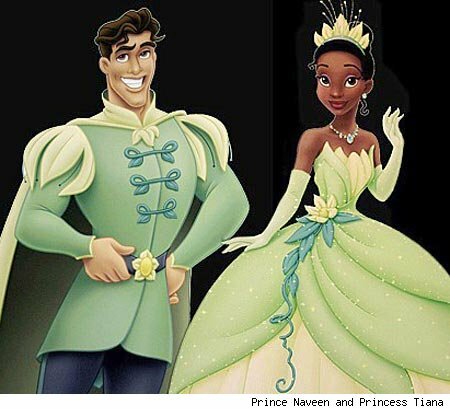 Tiana and Naveen, meanwhile, have fallen in love, and they explain the situation to Charlotte. She is touched and kisses Naveen in order to transform the pair back into human form, but it is too late - Mardi Gras is over. The two lovers decide to remain as frogs, content just to be together, and are married as such. 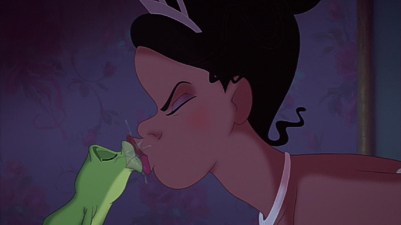 Once the ceremony is concluded, though, Tiana herself becomes a princess and her own kiss reverses the spell. Louis then helps them to purchase the sugar mill, and the happy couple live happily ever after. "The Princess and the Frog" is an amiable take on the old fairy tale, and the voice actors are all relatively little-known with the exception of John Goodman as Big Daddy and Oprah Winfrey (who has to get into every high-profile Black-centric production, it seems, and before you get upset at me over that, consider there might just be other black actresses that need the jobs more than her) as Eudora, Tiana's mother. 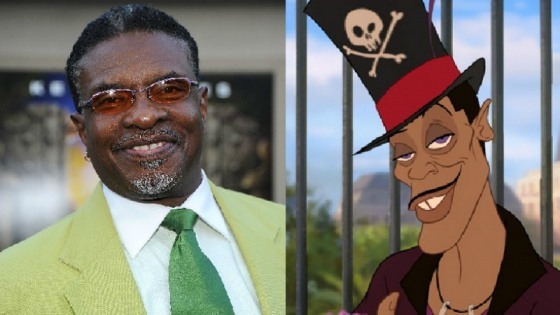 Anika Noni Ross plays Tiana, Bruno Campos is Naveen, Michael-Leon Wooley is Louis, Jennifer Cody is Charlotte, and Keith David plays Doctor Facilier. 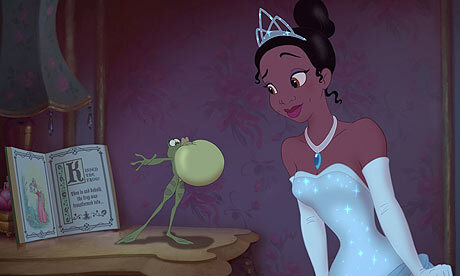 Among many other things, "The Princess and the Frog" is a return to the days when voice actors weren't just celebrities brought on board as a marketing gimmick. 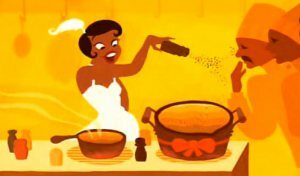 None of the voice actors of "The Princess and the Frog" became major stars as a result (Noni Ross had been in "Dreamgirls," but she is no Jennifer Hudson), so their contributions are relatively unique to the film and make their characters distinctive. A special animation process, Toon Boom Harmony, was used in place of the old Disney CAPS system. Traditional pen and pencil drawings were scanned into the computer system, where digital effects such as smoke and shading were added. One sequence, the "Almost There" dream sequence, uses an Art Deco style (the film is set in the 1920s, though that makes little difference to the plot), which helps give the whole project character. Modern commercial software products such as Adobe Photoshop were used to add special effects. In a further ironic twist to all the reversions, Disney decided to stop trying to make hand-drawn animation look like the computer-generated kind, marking a complete break with modern technological advances in the field. Many people enjoy not having to wear the 3-D glasses that have become standard at animated feature films for, to be truthful, little or no advantage. It also is nice not to have to pay the premium such films demand. Being set in New Orleans, there were plenty of musical infuences from which to draw. Randy Newman and the Dirty Dozen Brass Band combined on "Down in New Orleans" sung by Dr. John, while Newman did the rest of the score in a jazz/blues style. 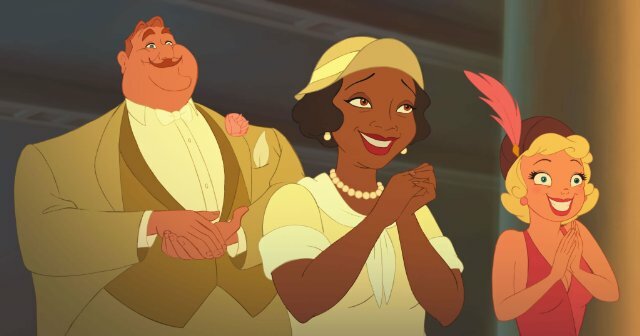 Probably the biggest draw of "The Princess and the Frog," though, is that the characters are representative of the African-American community and helped Disney to expand its audience in that demographic. 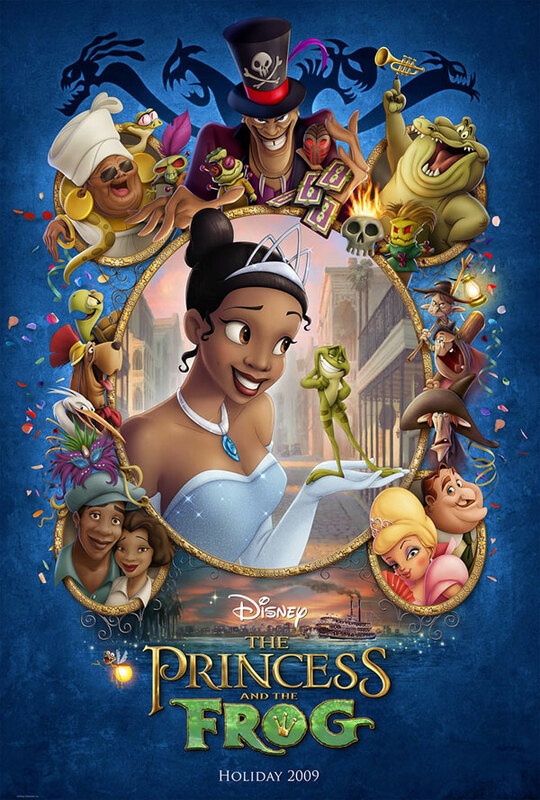 Critics can no longer slam Disney as not having any Black princesses, and the fact that the script is clever and witty helps make "The Princess and the Frog" an enjoyable experience for everyone. However, there was one major marketing problem with the film that Disney was careful never to repeat: the use of the word "Princess" in the title. When the story of Rapunzel came around, it turned into "Tangled," and "The Ice Queen" became "Frozen." Those films did better, and the odds of "Princess" or something similar appearing in another Disney title any time soon are between slim and none. "The Princess and the Frog" does not belong in the true pantheon of Disney classics simply because it is fairly low-key, without major stars or hammy, show-stopping performances such as by Robin Williams in "Aladdin." The music is distinctive and fun, but does not have the sweeping, popular impact of the songs from the great Disney animated musicals of the 1990s. 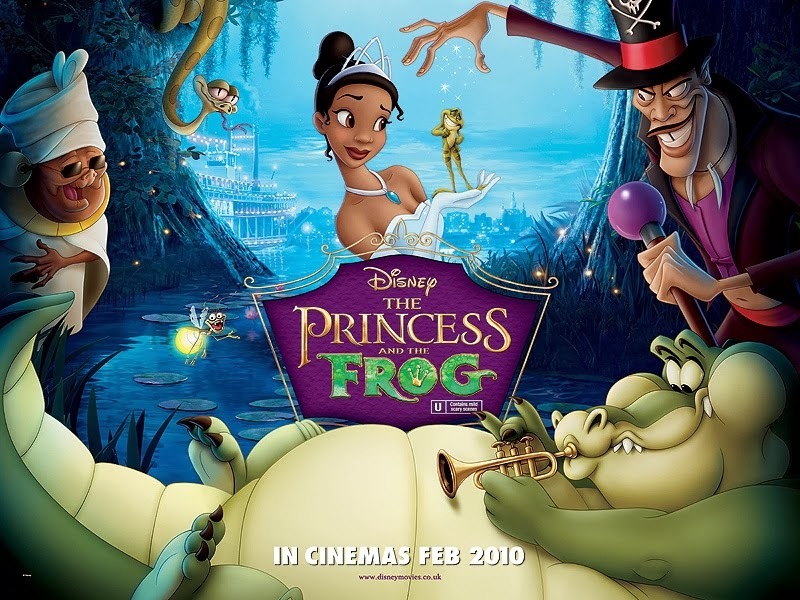 For what it is, though, an affectionate politically correct look at a unique community, "The Princess and the Frog" is well worth your time and is an enjoyable way to spend an evening. Below is the trailer for "The Prince and the Frog." Walt Disney Animation Studios had a very rough decade from 2000-2010, but one of its few undeniable successes was "Lilo & Stich." 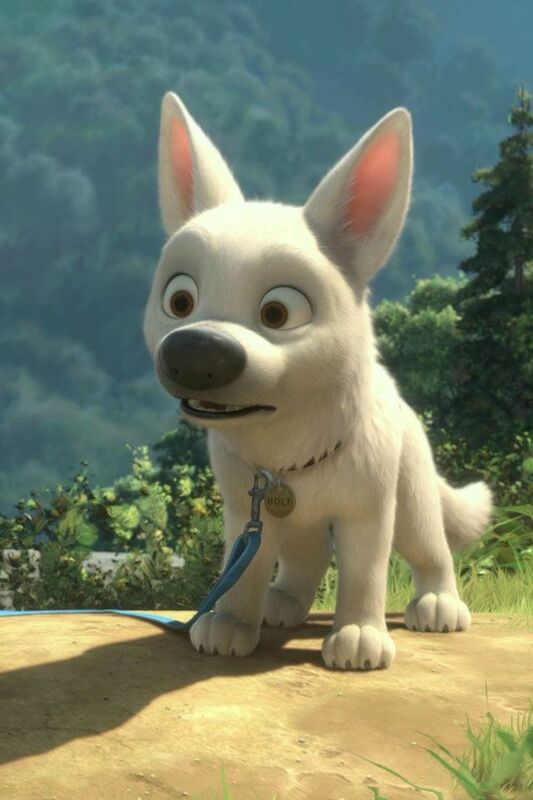 Going back to the well, Disney had Chris Sanders, the brains behind that film, work up another idea about a dog with issues that ultimately became "Bolt" (2008). Directed by Chris Williams and Byron Howard from a script by Williams and Dan Fogelman, "Bolt" was a troubled production because John Lasseter from Pixar came in and immediately threw his weight around, apparently annoying Sanders enough to cause him to leave for greener pastures. Just as with "The Emperor's New Groove," the brains behind the operation took off, leaving a rump project which had to be rescued under a tight time frame. Disney did the best it could to salvage "Bolt," and it is a fun film, but one is left wondering how much better it could have been under different circumstances. 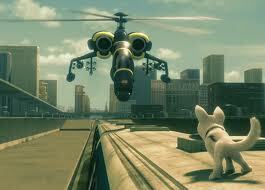 Bolt is a dog who stars on a popular television series named after him. The human star is Penny, who likes Bolt and has a good heart. The conceit of the television show is that Bolt has superpowers and battles the evil Dr. Calico. In order to get a better performance from Bolt, his handlers treat him as though he really does have such powers and that everything else about the show is real, too. One day, Bolt comes to the erroneous conclusion that Penny has been kidnapped by Dr. Calico and requires his assistance. Escaping from his trailer, Bolt winds up in a cargo crate and is shipped to New York City. Once there, Bolt concludes that the shipping materials stripped him of his powers. He meets Mittens, a street-wise alley cat, and together they hitch a ride on a truck back to Hollywood. Penny, meanwhile, is worried about the missing Bolt but accepts that she will have to continue production of the show with another dog. Mittens realizes that Bolt doesn't actually have any superpowers and teaches him how to beg for food. 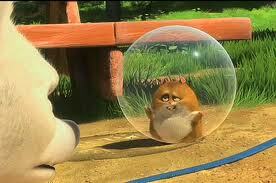 They meet hamster Rhino, a "Bolt" fan who is star-struck and joins them on their quest. Mittens and Bolt get into an argument which causes Bolt to bark loudly, attracting animal control. They are captured and taken to an animal shelter, but Rhino rescues Bolt, who then teams up with Rhino to rescue Mittens. 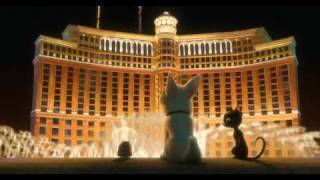 Mittens continues teaching Bolt how to be a normal dog, but decides to stay in Las Vegas. She tells Bolt that his life in Hollywood is nothing but a fantasy, revealing that she herself was once a house cat who was abandoned by a callous previous owner. Bolt, however, refuses to believe that Penny doesn't actually love him and goes on alone. Mittens later has second thoughts and, along with Rhino, sets out after him. Bolt finally arrives at the studio, but the first thing he sees is Penny embracing the new dog. He leaves, brokenhearted, but Mittens also arrives separately and overhears Penny telling her mother how much she misses the real Bolt. The new dog causes trouble on the set, and Mittens convinces Bolt that Penny really does love him and isn't just pretending. The new dog's trouble has set the studio on fire, so Bolt runs in to rescue Penny. His "super bark" attracts firefighters, which saves both their lives. Penny, disgusted at publicity attempts to capitalize on the situation, quits the show and moves with Bolt and his friends to a remote town in order to recover her sense of balance. One key to liking "Bolt" is how you feel about the voice actors. John Travolta is a big draw as Bolt and does his usual magnificent job, while Miley Cyrus voices Penny and Malcolm McDowell has a small part as Dr. Calico. Everybody involved does a great job, but once again, as in "Meet the Robinsons," Disney casts just about everyone else with low- or no-profile voice actors. Animated films are all about establishing a connection with the viewer through voices, and, wonderful as Susie Essman as Mittens and Mark Walton as Rhino may be, they are not recognizable voices. Having a top female star voicing Mittens might have made a big difference in how "Bolt" was received by the public. 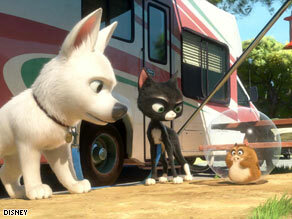 A bigger problem with "Bolt" is the script, which lacks that sense of reality that makes good animation great. It is one thing to have cartoonish characters, that is expected in animation, but also having them act in cartoonish fashion leaves you feeling cheated. 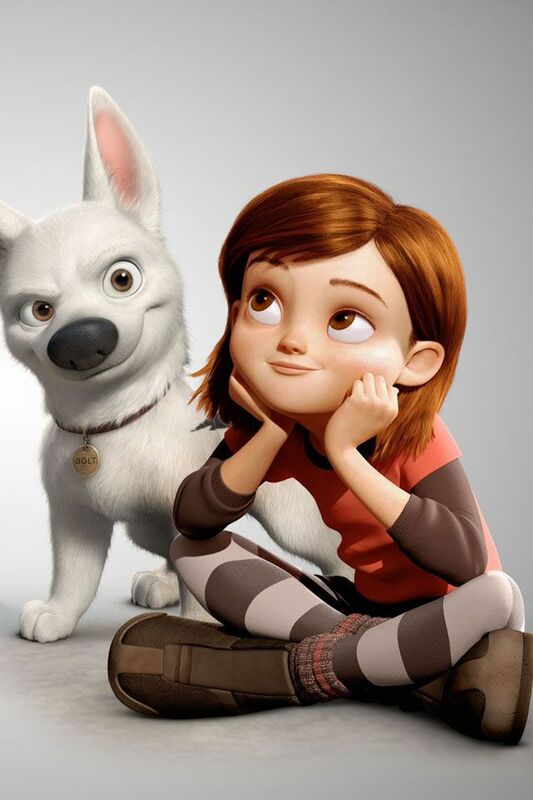 There are many plot points that just don't seem authentic, such as Penny and Bolt quitting "Bolt" to go live in splendid isolation and Bolt going through life being too dumb to realize he's just a dog and not a superhero. "Bolt" also gives the nagging sense that it is really just trying to comment on television series and action movies like the "Die Hard" series (in one of which Bruce Willis faces down a chopper just like the one in "Bolt") and how unrealistic and phony they are, which isn't the most novel of concepts and imparts an unfortunate sense of Hollywood feeding on itself. On the positive side, Travolta and Cyrus are true pros who know how to draw a viewer in and appreciate their characters, unrealistic though they may be. There are two original songs, one by Travolta and Cyrus called "I Thought I Lost You," that are quite good, and the score by John Powell is fine as well. The 3-D animation is stylized and uses cutting-edge technology to give the backgrounds a hand-painted look, though the 3-D aspect really doesn't add much. The "phony" scenes of Bolt filming his tv show are actually the best part of "Bolt," and a whole film like that wouldn't be half bad even though the film-makers are kind of making fun of that genre. 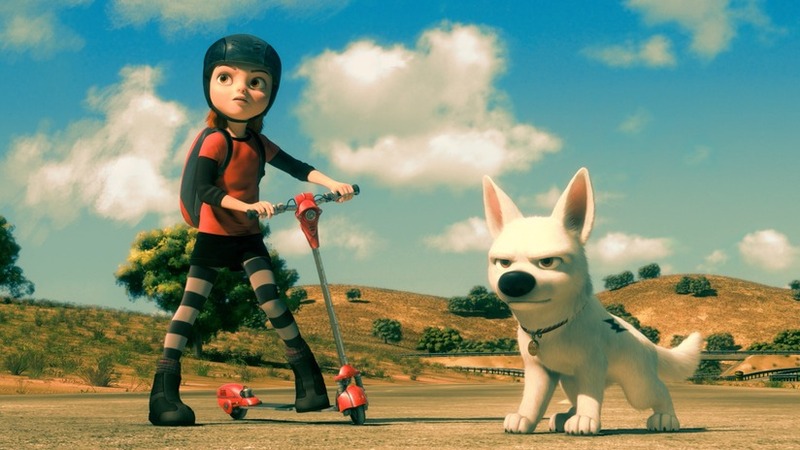 At its most basic level, though, "Bolt" is a story of a girl's love for her dog, and on that level, it succeeds as long as you don't try to take everything else seriously. You may recall a weird incident around that time when Miley Cyrus herself supposedly lost her dog and went on a public bicycle search for it, which sounds suspiciously like a truly farcical publicity stunt, showing either how shameless celebrities can be in selling their product or how much wicked fun they can have yanking their chains hard. The film did just all right at the box office, facing stiff competition from "Twilight" and the James Bond film "Quantum of Solace." The DVD and Blu-ray releases have a special short film called "Super Rhino," which helped the home video release sell millions of copies and probably enabled "Bolt" to turn a profit. The version to get if you have the right tv is the 3D Blu-ray version. 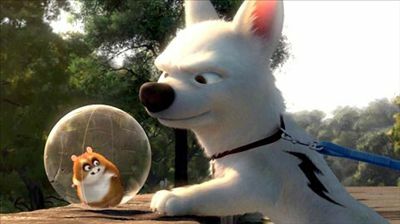 "Bolt" is one of those fun films that has many issues that you have to overlook in order to really appreciate its heart-warming conclusion. This is a must-see if you are a Miley Cyrus or John Travolta, otherwise, well, it is just okay and one of many ways to while away an evening. 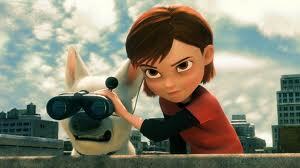 Below is the trailer for "Bolt." 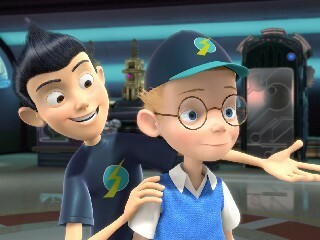 "Meet the Robinsons" (2007), directed by Stephen J. Anderson and based on the book "A Day with Wilbur Robinson" by William Joyce, was the first Disney animated feature film to really feel the imprint of the Disney/Pixar merger. It has a much more adult feel than, say, "Chicken Little," with a scary villain and adult science fiction concepts about time travel. Small children might not be comfortable with certain parts, but that was the case with even the most classic Disney animated films such as "Snow White and the Seven Dwarfs" and "Bambi." "Meet the Robinsons" had the misfortune of coming out at a time when other studios were in the midst of phenomenal franchise runs, and in 2007 animation fans were looking forward to the release of Pixar's "Ratatouille" and kind of skipped over "Meet the Robinsons," but this is film from Walt Disney Animation Studios is well worth watching. Lewis is a bright child who lives in an orphanage and likes to tinker and invent things. Unfortunately, he is an orphan, and his inventions are off-putting for potential parents. Feeling unfulfilled, Lewis decides to find his mother, so he builds a mind-scan machine, which is loud and keeps roommate Goob awake at night, leading to his missing an important Little League game. 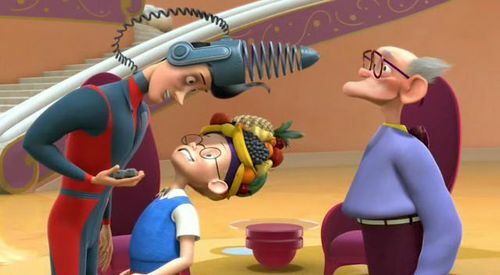 At a science fair, Lewis shows his mind-scan machine to Wilbur Robinson. Wilbur claims to be a time-traveller from the future who needs Lewis' help to recover his missing time machine. When Lewis tries to use his mind-scanner at the fair, it malfunctions, and Lewis leaves. The same man who stole Wilbur's time machine, who wears a bowler hat, then arrives and steals the scanner, which he repairs and uses. Wilbur tracks Lewis down at the orphanage and again asks for his help. To prove his veracity, Wilbur takes Lewis in a time machine to the year 2037. Lewis and Wilbur get into an argument, though, and the time machine crashes. Lewis agrees to fix it only if Wilbur will agree to take Lewis to his mother afterwards. Lewis gets to work in the garage, but quickly meets the rest of Wilbur's family except for Wilbur's father, Cornelius. Bowler Hat Guy, meanwhile, has been following the pair in company with his sidekick Doris. He tries to kidnap Lewis, but fails. Meanwhile, the Robinsons offer to adopt Lewis, but they decide not to because Lewis is from the past, while Wilbur admits that he was lying when he promised to take Lewis to see his mother. Lewis runs off, but soon learns that Bowler Hat Guy is none other than his old orphanage roommate, Goob, who never got over missing the big Little League game. Doris turns out to be one of Lewis' discarded experiments that actually worked and blamed Lewis for abandoning it. Their plan is to claim credit for the mind scanner and thereby ruin Lewis' reputation. Using a time machine, they alter the future to one in which Lewis is absent and the world is full of Doris clones. Lewis repairs the second time machine and repairs the future by never inventing Doris. Returning to the Robinson home, Lewis finally meets Cornelius, who turns out to be a grown-up version of Lewis himself. From Cornelius, Lewis learns that the scanner actually worked and established him as a famous inventor. Wilbur takes Lewis back to the science fair, but first fulfils his initial promise and takes Lewis to see his mother. Lewis has the chance to stop her from leaving him at the orphanage, but ultimately decides to leave things as they were because he is comfortable being part of the Robinson family. Wilbur drops Lewis off just before the science fair, and Lewis has the presence of mind to go back to his room first and awaken Goob, who gets to the Little League game after all and makes the winning catch. Lewis then proceeds to the science fair, where he makes the machine work properly. Lucille, a science fair judge, then adopts him. Lucille's husband, Bud, then nicknames Lewis "Cornelius" and takes him back to live with them. Goob also finds a family of his and proudly shows off his Little League trophy. 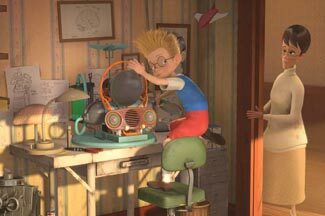 As is usually the case with time-travel stories, the main points of "Meet the Robinsons" have nothing to do with time travel. Basic Disney notions of being considerate, thoughtful and keeping your word permeate the storyline, and it is clear that doing the right thing by others is what is important. There are some more subtle points as well, including the idea (that not everybody necessarily will agree with) that "bad guys" are at least sometimes forced to become bad for a reason and aren't inherently evil. The key mistakes that Lewis ultimately fixes - not creating the unhappy Doris, and not preventing Goob from being harmed from the consequences of his scanner - help other. By so doing, Lewis ultimately helps himself. Lewis learns that it's not all just about him - and that's a terrific lesson that many grown-ups could stand to learn, too. Unlike the big Disney hits of the 1990s, there are no big celebrities in the voice cast to sell "Meet the Robinsons." 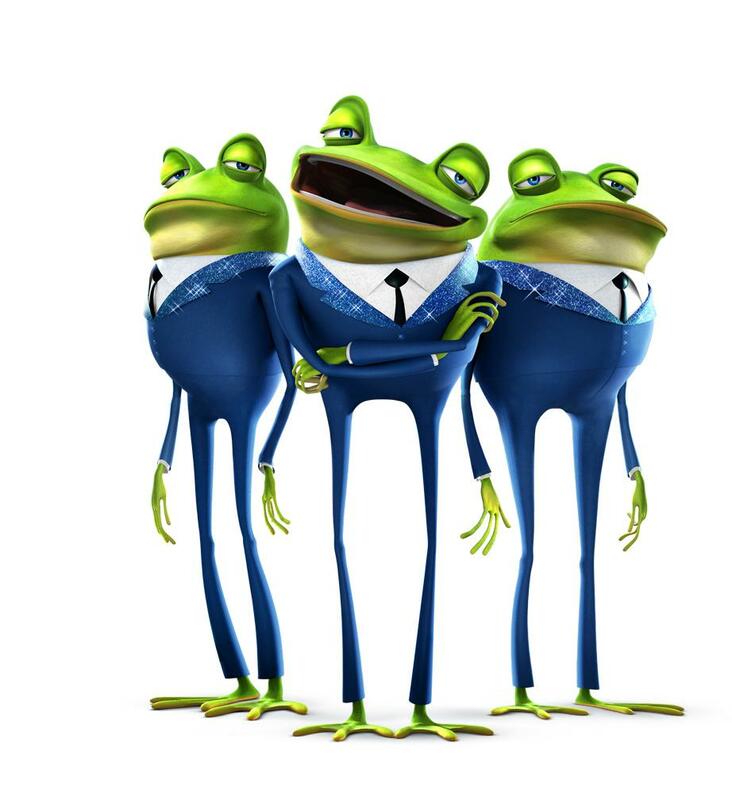 Relative unknowns Jordan Fry, Wesley Singerman and Steve Anderson voice the main characters Lewis, Wilbur and Bowler Hat Guy, respectively. Fine voice actors that they are, none of them has the star power of a Robin Williams or a James Woods. Angela Bassett, Tom Selleck and original "Batman" Adam West have small roles, but that is about it for celebrities. 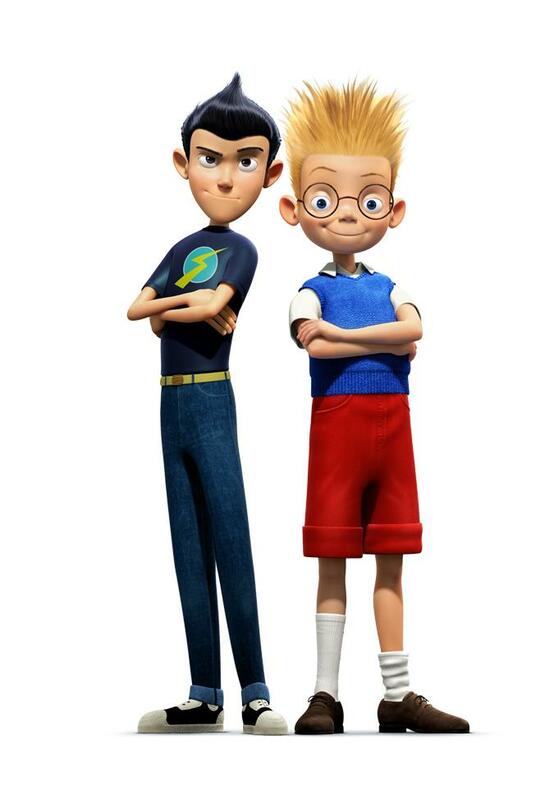 Nothing wrong with finding the right voices for characters rather than adapting characters to fit celebrities, in fact that is kind of refreshing, but the low-profile cast partially explains the problems "Meet the Robinsons" encountered at the box office. "Meet the Robinsons" has stellar 3-D animation, and the score by Danny Elfman is up to his usual high standards. The Jonas Brothers, They Might Be Giants and other popular music acts of the time make contributions, including Rob Thomas with the radio hit "Little Wonders." 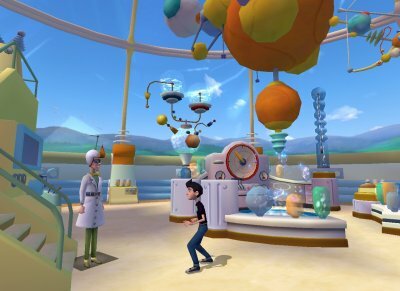 Versions of "Meet the Robinsons" became video games on all the major platforms of the time. "Meet the Robinsons" was released on DVD and Blu-ray late in 2007, with many bonus features. Steve Anderson narrates, and as is so often the case with Disney box office failures, "Meet the Robinsons" became a minor hit with home video buyers. 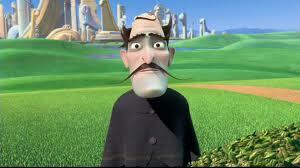 When you compare "Meet the Robinsons" to other recent Disney films, you realize how different it is. 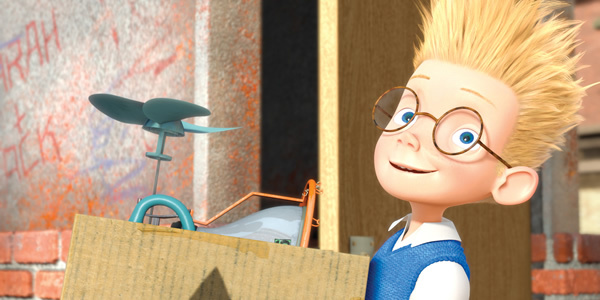 While it has the usual feel-good Disney flourishes, "Meet the Robinsons" has an advanced science fiction plot with twists of a type that are completely absent from the previous "Chicken Little" and other Disney films. As such, it will tend to retain the attention of adults a lot longer, but the flip side is that children might find parts difficult to follow and downright scary. 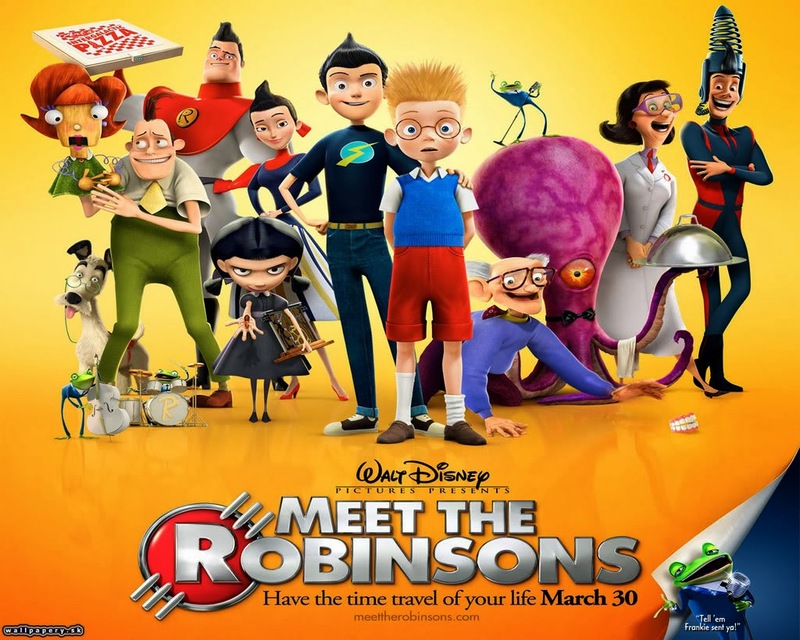 Part of the reason for the failure of "Meet the Robinsons" upon its initial release may have been this increased focus on older viewers, which may have alienated part of Disney's usual audience. Compared to other Disney releases of the time, the story has real wit and intelligence. 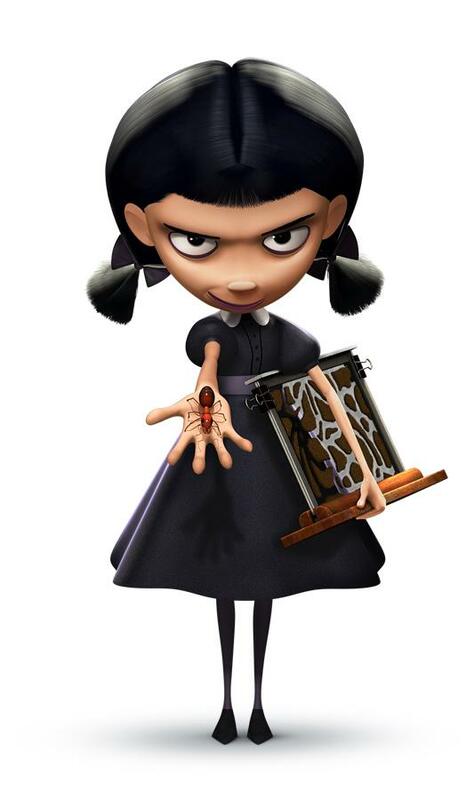 This does lead to some unevenness when everything is resolved with a Hollywood ending that is inspirational to a fault and perhaps presses the morals of "Meet the Robinsons" just a bit too forcefully. 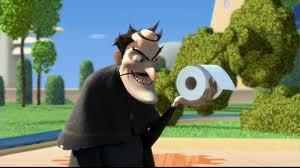 Overall, for most viewers, it is a fun and enjoyable film that is easy to recommend for all but the youngest viewers. 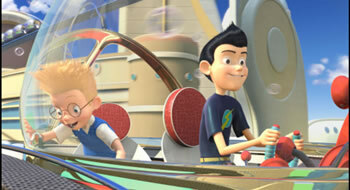 The 3D animation of "Meet the Robinsons" rewards viewing it on Blu-ray, where you can get the full effect. 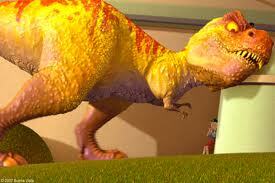 "Meet the Robinsons" should appeal to boys at least as much as girls, so all kids should be able enjoy it. There is a terrific epilogue that really is the cherry on top of the ice cream, and you may find yourself completely changing your opinion of the Bowler Hat Guy when all is said and done in a stunning emotional reversal for a Disney movie. Below is the trailer for "Meet the Robinsons," and below that the Rob Thomas music video for "Little Wonders."